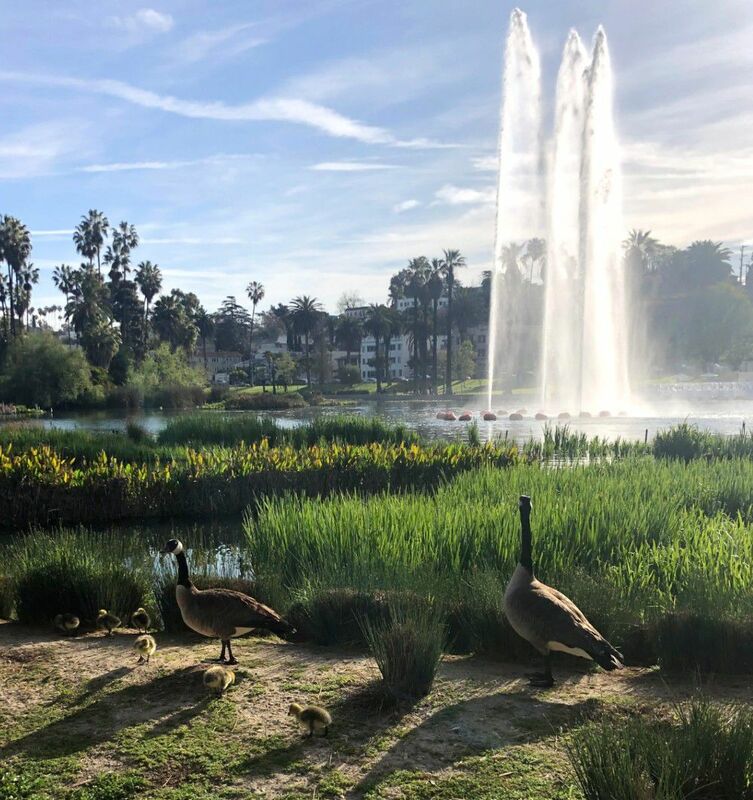 ECHO PARK -- This year's crop of fuzzy goslings are skimming across the water of Echo Park Lake and waddling across the lawns and paths of the park. 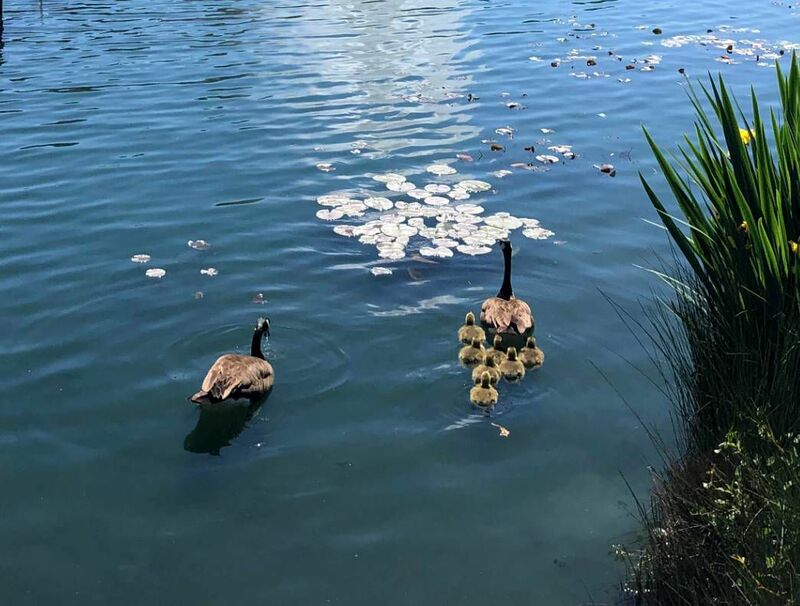 But don't get too close -- the goslings parents are usually nearby and ready to use their sharp beaks to protect their gaggle of kids. Thanks to Ellie Sedighi for sharing her photos. It is a beautiful park however I would be apprehensive to bring children there. I drive by on my commute home every day. Homeless individuals have literally taken over certain parts of the park. There is a bus stop on the west side of the park where a homeless couple have established residency prohibiting anyone else from using it. I took my lunch hour the other day and walked through the park. The north end has a homeless "encampment". I saw trash everywhere, used needles on the ground, and tents set up everywhere prohibiting tax payers from enjoying the grass portion of the park. A couple of the homeless actually yelled at me and said I did not belong there and I had to leave... Where are our city leaders? Where is the Mayor? It's a sad state of affairs when a hard working taxpayer, that gets up at 4:30am every day for work cant use this park because of being intimidated by individuals that are breaking the law. I am compassionate towards the plight of the homeless but they have no right to claim eminent domain over a public place, trash it, use drugs out in the open, and then intimidate the very same taxpayers that actually pay for the park to exist in the first place..... a sign of the times.